Does Glenrothes 1987 belong in your whisky cabinet? 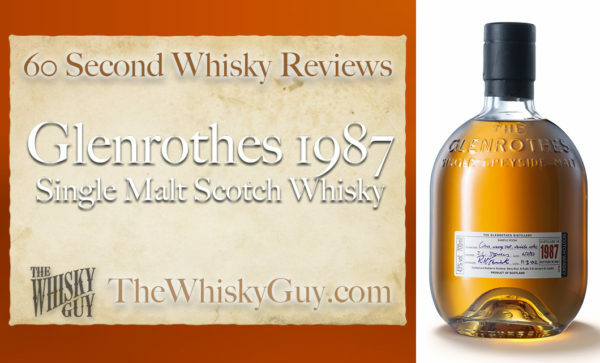 Find out as The Whisky Guy reviews Glenrothes 1987 Single Malt Scotch Whisky in 60 Second Whisky Review #088! 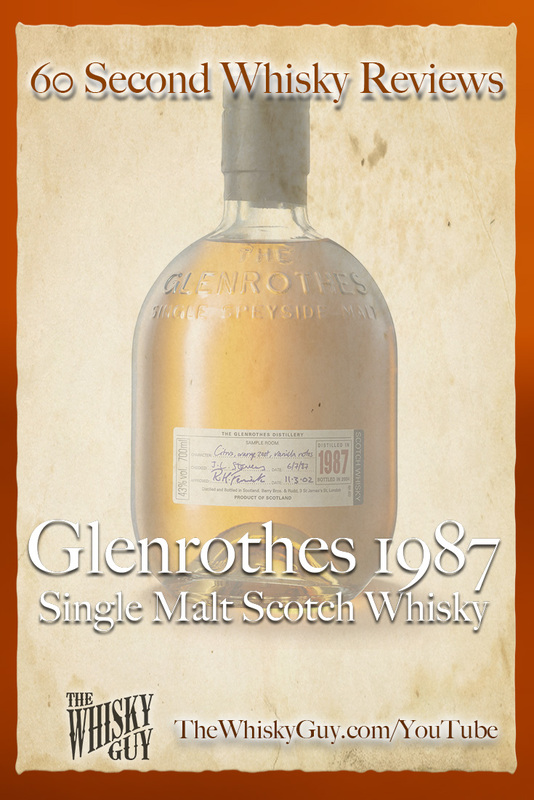 Bottled as an 18 year old, rare and expensive – does that make Glenrothes 1987 a good whisky? Give me 60 seconds and find out as The Whisky Guy tastes Glenrothes 1987 Single Malt Scotch Whisky in 60 Second Whisky Review #088!